The annual Mother’s Day Powwow at the University of Oregon has built a tradition that transcends many others on campus, and as it celebrates 50 years this May 11 through 13, there are many things to celebrate. 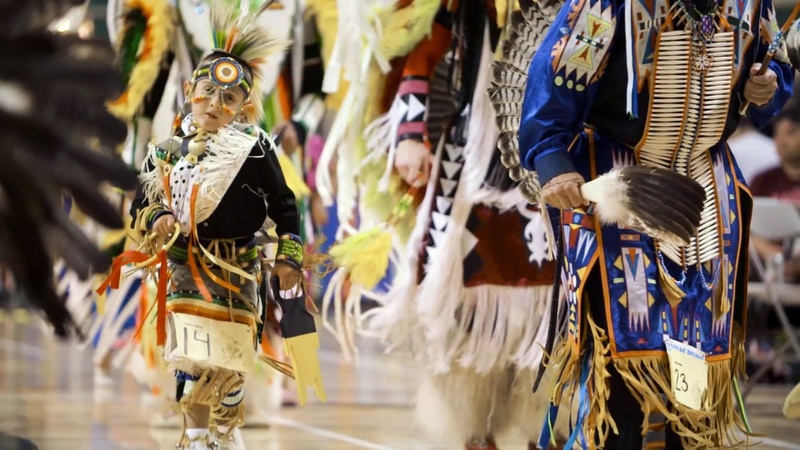 Hosted by the Native American Student Union, the powwow will be honored with an Oregon Heritage Tradition designation from Oregon State Parks, one of only 19 across the state. 2018 is expected to represent the largest native presence on the UO campus in history. In addition to the designation and other traditional activities, the powwow will include a blessing and dedication of the recently opened Kalapuya Ilihi residence hall, which became home to hundreds of UO students in September. “With the dedication and blessing of Kalapuya Ilihi Hall, the first college residence hall to be named after Oregon’s first peoples, this will be a very special weekend for everyone,” Younker said. The awarding of the Oregon Heritage Tradition designation award will take place during the grand entry at UO’s McArthur Court at 7 p.m. May 11. The weekend features a variety of events, including the installation of the Willamette Meteorite replica and tours of Kalapuya Ilihi Hall, as well as the annual parade that leads to the grand opening.